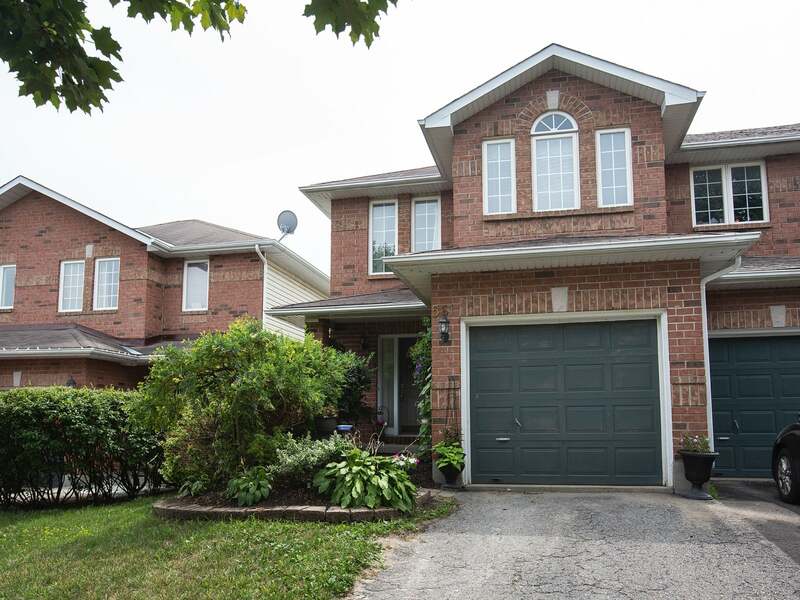 Spacious 1,219 sq/ft end-unit townhome on a quiet cul-de-sac in Kingston’s west end. 3 bedrooms, 1.5 baths and attached garage. Large sunken foyer, powder room, bright and open living room with large window overlooking spacious oak kitchen with pot lighting, ample counter space and dining room with patio doors to deck, patio and fully fenced rear yard. Upstairs offers 3 bedrooms including 16’9 x 11’9 master bedroom with double closets. 5-piece main bathroom with double sinks. Partially finished lower level offers large L-shaped rec room and mechanical area. All this plus forced air hot water heating system, central air, attached one car garage w/opener + inside entry and 5 appliances included! Conveniently located close to parks, schools, shopping, bus route and all west end amenities. Lot Size 24.54 x 126.31 Sq. Ft.